Award-winning fantasy author James P. Blaylock is one of the founding fathers of modern steampunk. The Aylesford Skull chronicles the latest adventure in the long and often obscure life of Langdon St. Ives -- Victorian scientist and adventurer, respected member of the Explorers Club, consultant to scientific luminaries, and secret, unheralded savior of humankind – as he encounters pirates, grave robbers, and an old nemesis. Homunculus and Lord Kelvin’s Machine will be reissued later in 2013, for readers who missed the initial appearances of St. Ives. 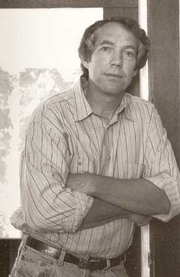 James P. Blaylock is currently considered a "single author." If one or more works are by a distinct, homonymous authors, go ahead and split the author. James P. Blaylock is composed of 11 names. You can examine and separate out names.